EasyFix Floor Tool is rated 3.8 out of 5 by 4. Rated 5 out of 5 by Doris Holm from Great service I brought the parts for my steam cleaner but I have a old model the good is that fit for alle model is expensive but you pay qualitat and not quantitate. Rated 3 out of 5 by tobagoali from SC4 use the steamer since 3 years. I like it because it desinfects the floor as well. Rated 3 out of 5 by Meeb from Floor tool nozzle part fallen out The integral silver connection ring fallen off from the floor tool. I can't fix it and I am frustrated why so fragile for such a quality product. I hope it wouldn't need to buy a replacement as it is too expensive. 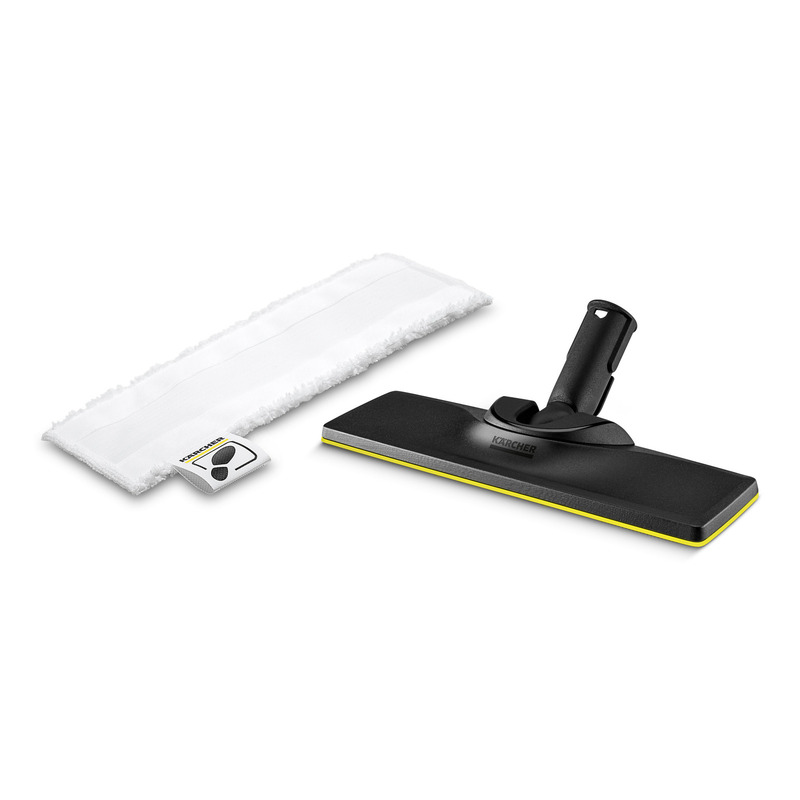 Rated 4 out of 5 by Chester Copperpot from An honest review I broke the first EasyFix Floor Tool, which came with my Karcher SC4 Easyfix Premium Steam Cleaner 1.512-472.0, so I had to buy a replacement. The strength of the plastic is not that great. I pressed the head (with cloth attached) into the bath just to release some of the water absorbed in the cloth. Big Mistake! The head basically snapped and the pressure I exerted was not beyond the norm, so I was annoyed at the poor build quality in addition to the overly expensive price for a replacement. So for those who do not wish to make the same mistake; please ensure that you remove the cloth from the head and treat the EasyFix Floor Tool as though it is a fragile component. In terms of performance, it works well and is practical for several applications; however it is not a miracle cleaner and you will be disappointed if your expectations are high. This 'mop' replacement kills all the germs and glides across the floor tiles really well, but it won't remove stubborn stains. 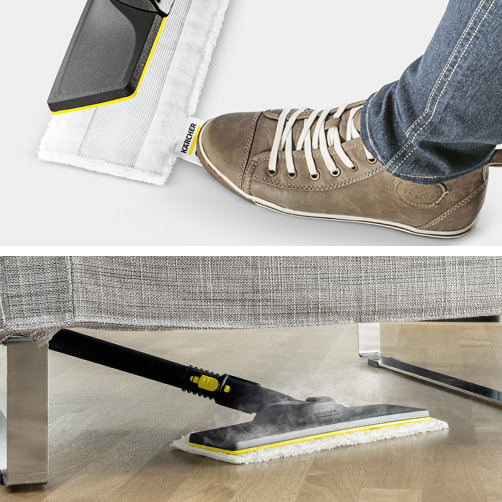 You'll need to use a more aggressive accessory like the Steam Turbo Brush, which takes a lot longer to clean a floor as you're only concentrating on a small section at a time. I think if the system and components were 50% cheaper, then you'd be really happy with the product, but given the price; it's disappointing because people have high expectations when paying a premium.